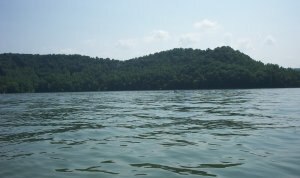 These pictures of Center Hill Lake were taken by me personally with a Kodak DX3500 Digital Camera and may not be reproduced or used for any commercial purposes without permission! 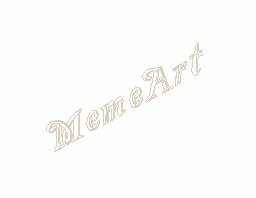 They may, however, be used on noncommercial internet sites with a link back to memeart. 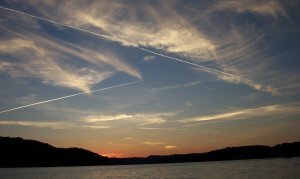 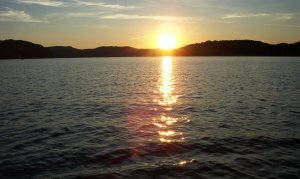 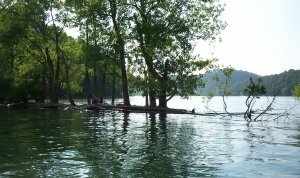 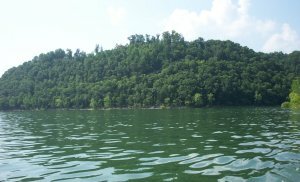 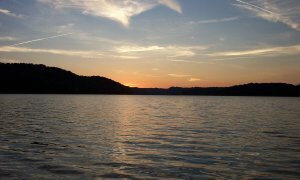 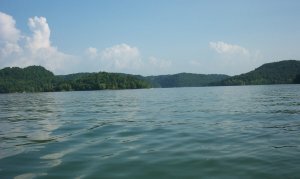 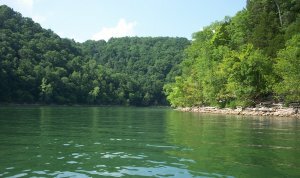 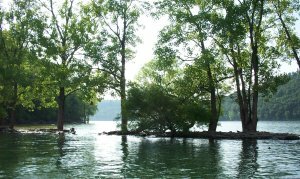 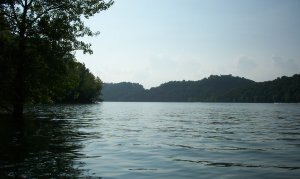 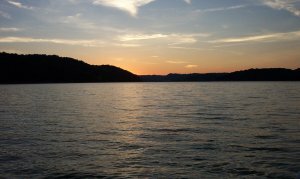 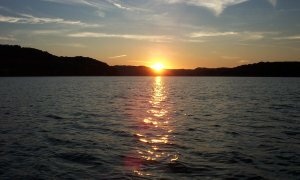 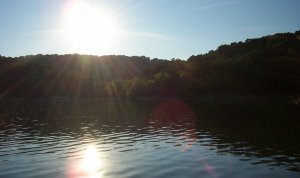 Center Hill Lake is located in middle Tennessee in the Cumberland Mountains nestled among beautiful rolling hills. 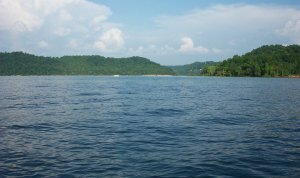 Counties surrounding the lake include Smith, Putnam, DeKalb, Warren and White Counties. 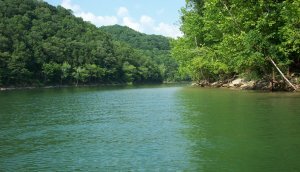 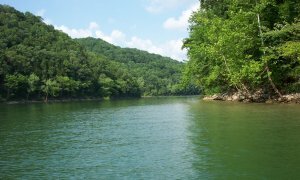 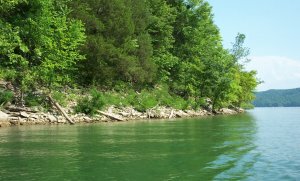 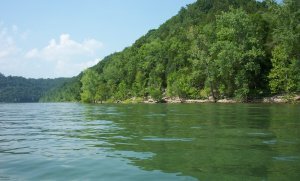 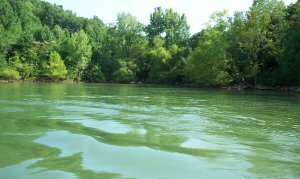 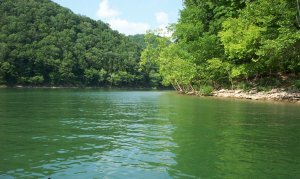 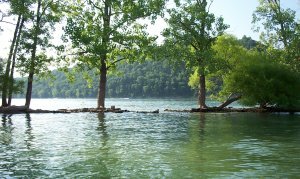 The major tributaries flowing into Center Hill Lake are the Caney Fork River, Collins River, Rocky River, and the Falling Water. 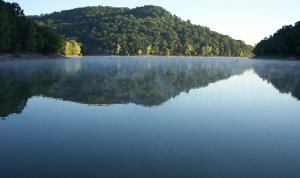 Extending 64 miles upstream and covering an area of 18,220 square acres, Center Hill Lake has a storage capacity of 762,000 acre feet of water. 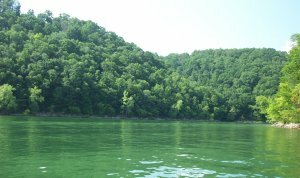 The lake has aproximately 415 miles of shoreline, with a maximum depth of 190 feet. 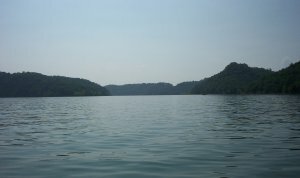 The water shed area for the lake is 2,174 square miles. 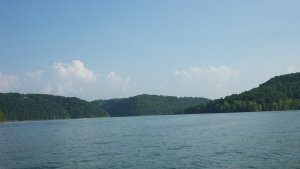 Center Hill lake was constructed by the U.S. Army Corps of Engineers in 1949 and was built as a multi-purpose project for development of water resources including electricity production and flood control. 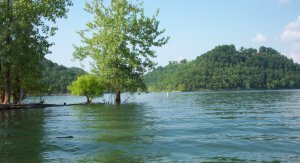 There are three state parks on Center Hill Lake, and nine recreation areas ran by the Army Corps of Engineers. 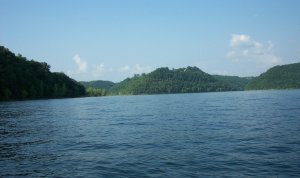 For more information about Center Hill Lake, click here.